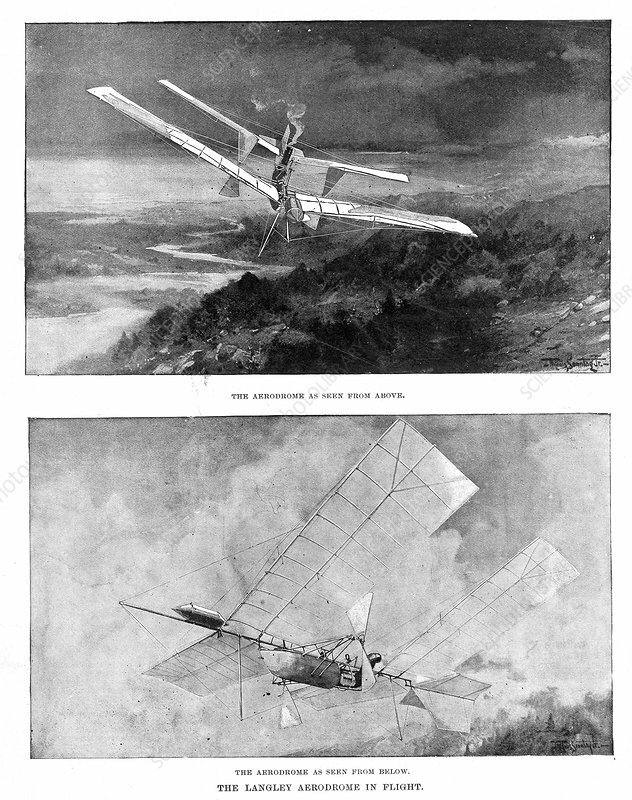 SP Langley's steam-powered model plane 'Aerodrome' viewed from above and below, 1902. Samuel Pierpoint Langley (1834-1906) was an American astronomer and aeronautical pioneer. In 1896 the 'Aerodrome' 5 flew 3/4 mile. From Scientific American, November 1902.